Whenever you think you’re too old to do something, just remember that the Bay Area’s Alice Larse started her sweet cookie company — at age 69. She’d been baking these buttery stick cookies for years to the delight of friends and family before finally taking the leap to start her own business. 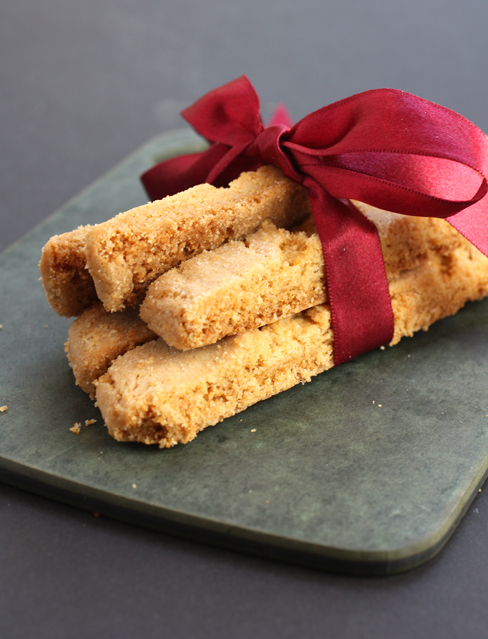 Alice’s Stick Cookies look like biscotti but taste like buttery shortbread. They won raves from the start, winning the top prize for “Best Cookie” in both 2004 and 2006 at New York’s Fancy Food Show. Larse just retired from the business (and deservedly so), but new owners are carrying on her tradition with the cookies, which are now sold in 48 states and at such stores as Whole Foods, Andronico’s, and Dean & DeLuca. The cookies — made with sugar, butter, malted barley flour and no eggs — come in four flavors: Lemon, Cinnamon-Ginger, Orange-Chocolate, and my personal favorite, Vanilla, which tastes delightfully like salted caramel-toffee. One and a half stick cookies has 130 calories. An eight-ounce box of cookies is $9.95. 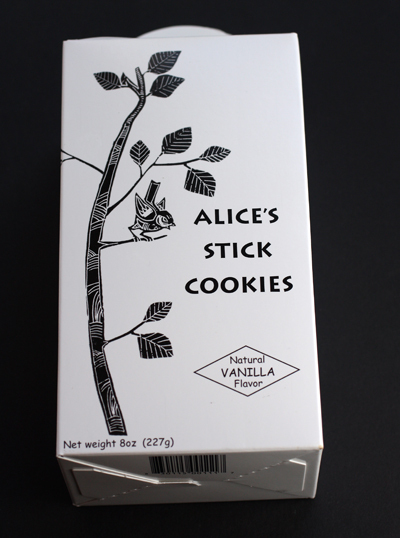 Contest: One lucky Food Gal reader will win four boxes of Alice’s Stick Cookies (one of each flavor). Entries, limited to those in the continental United States, will be taken through midnight PST Dec. 24. Winner will be announced Dec. 26. Just tell me your favorite memory that involves cookies. Best answer wins. Winner of the Previous Contest: In last week’s contest, I asked you to tell me your most memorable time eating steak. 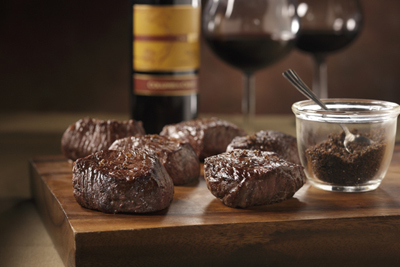 Winner will receive a “Steak and Espresso Brava Salt” holiday package from Snake River Farms.